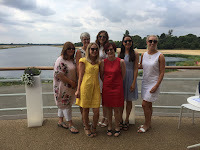 I wrote this blog whilst in the throes of my last week of work. It was very strange to experience feelings of excitement, sadness, trepidation and nostalgia all at the same time. 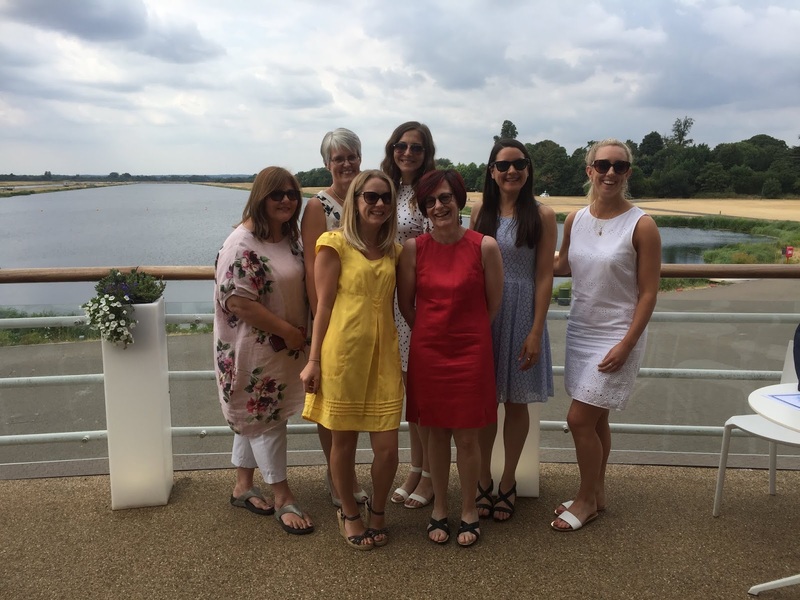 I have been at my current school for 16 years and so was not looking forward to the final Goodbye, but it is definitely the right time for me to look forward, take a deep breath and jump into something new. And I have done a bit of jumping already. I recently finished A Woman In The Crossfire by Samar Yazbek, which was on Warwick’s MA reading list for last year. It details living in Syria during the Arab Spring and is a stark reminder to the West of what war, oppression and injustice actually look like in a real context. I began to wonder where the title Arab Spring came from. It sounds far too sanitised for the experiences that Yazbek describes. Political scientist Marc Lynch has said that "[Arab Spring is] a term I may have unintentionally coined in a 6 January 2011 article" for Foreign Policy magazine. But the reality was not a graceful leap, nor was it a fountain of refreshing water. It was hard political reality that affected the everyday lives of all Syrian citizens. The book is set out non-chronologically, but following a broad pattern of progression of the revolution. There is significant description of various Fridays: this was the day that demonstrators took to the streets to protest against the regime. Each Friday demonstration has been given a name and Yazbek often quotes the statistics associated with each massacre. And here the reality begins to take hold. People were exercising their rights to protest, and many met their deaths, were wrongly arrested, tortured or imprisoned. As part of a privileged clan, the Alawites, Samar Yazbek’s family were part of the Syrian regime. For her to speak out against them meant that her life and that of her daughter were in constant peril. However, her need to tell the truth of her country’s plight was greater than her fear and this book is a testimony to that. As an established author prior to the uprising, her retelling of events is, in places, figurative and poetic. In others, she is stark and lets the facts speak for themselves. Interesting to me was the balance between her own emotions, fears and reactions and the inclusion of eyewitness accounts to verify her interpretation of history. These eyewitness pieces are formed from interviews that she conducted with contacts resistant to the Assad regime. My other read compares well with this. Margaret Atwood is well-known for her dystopian fiction and has recently been quoted as saying that nothing that is depicted in The Handmaid’s Tale has not actually occurred in an area of the world under a totalitarian regime. This is profoundly shocking, and made reading of the tortures inflicted in Syria more focused. The novel I have just completed is The Heart Goes Last. 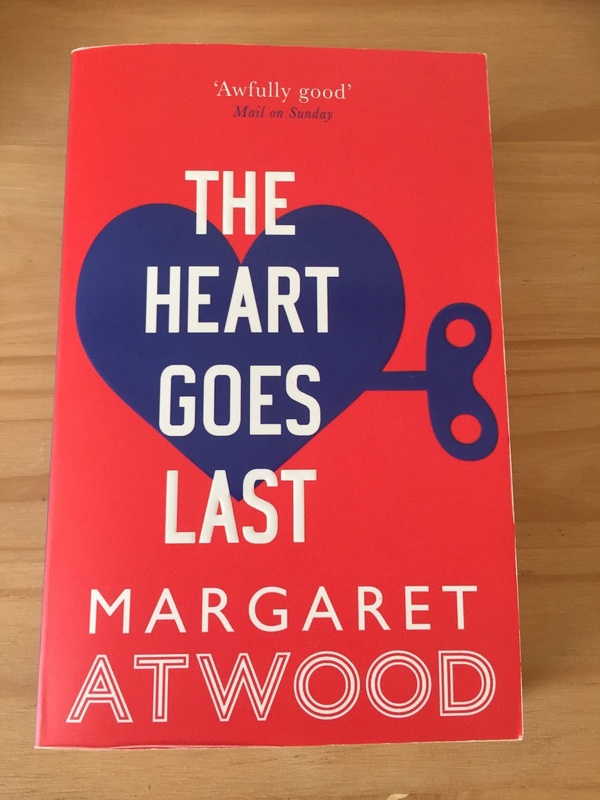 As far as Atwood’s dystopias go, this one is more light-hearted, perhaps even tongue-in-cheek in places. It has elements of The Truman Show meets 1984 in that the central characters choose to enter Consilience: a self-contained community that once you have agreed to become part of, then you cannot return to the outside world. Depicted as being somewhere in America, it has elements of Gilead from The Handmaid’s Tale. The premise is that residents spend one month living life in the community and the next month in Positron, the prison at the centre of the scheme. This is intended to make all citizens contribute to society and prison is used, not as a punishment, but as an alternative way of life that serves the wider community. It is not as sinister as Handmaid or the Oryx and Crake series with cases of switched and mistaken identities forming a significant thread of the plot. There are sinister elements though, many of which resound in contemporary life: the management of the media and the news being a prime example. Such media manipulation was also a factor in the Syria accounts: indeed, I was left wondering why I had no knowledge of the extent of suffering endured by political prisoners there. The news I watched reported the macro politics rather than the effects on individuals who were trapped or who chose to stay in the country. 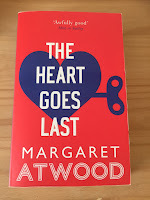 Another sinister aspect of Atwood’s novel was the way in which people were disposed of. It was chilling to read how quickly “executioners” became desensitised to their task. But this was fiction. 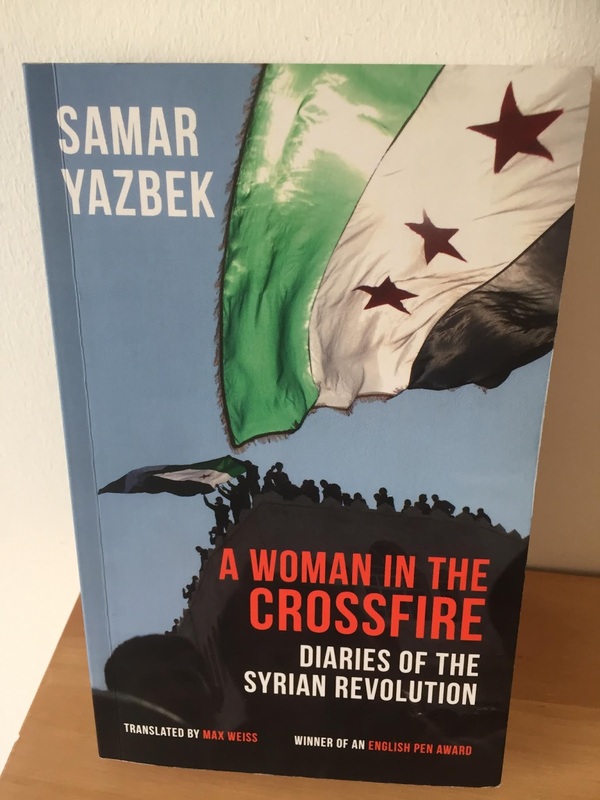 In her Syrian account, Yazbek writes, “I never thought murderers could sprout up out of the street like trees,” and she goes on to ask, “how did the security services make people so savage?” This humanist, moral voice is evident throughout her diaries, incredulous to the final pages that human beings can inflict so much agony on one another. This is the message that I’m left with. We need a more humane world where we do care about one another’s stories and where we find it abhorrent that people want to maim and kill one another. We needs to think less about power and more about compassion, less about what divides us and more about our common good. Both reads were stimulating, but Samar Yazbek’s is a deeply disturbing account of abject inhumanity. You should not enjoy it, but it is worth becoming more knowledgeable about the world in which we live. Atwood’s had less power than her previous dystopian works. After all this, I needed light relief. Apart from a disappointing ending, Starter for Ten by David Nicholls was an enjoyable, wry reflection of some of the parodies of youth and university life. Thanks Karen. Another two to read.